The sister of the Milwaukee thug shot to death by a black cop after pulling a gun urged protesters to burn down white suburbs rather than "our community," saying "we need our weaves." 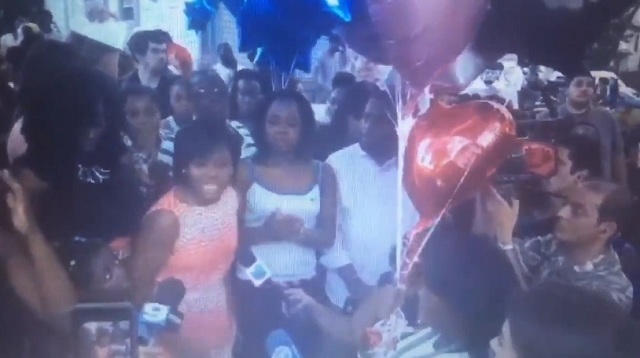 "Burning down sh*t ain't gonna help nothin'," Sherelle Smith was heard screaming before dozens of news cameras yesterday. "You're burnin' down sh*t we need in our community." "Take that sh*t to the suburbs," she said. "Burn that sh*t down!" "We need our sh*t! We need our weave! I don't wear it, but we need it!" 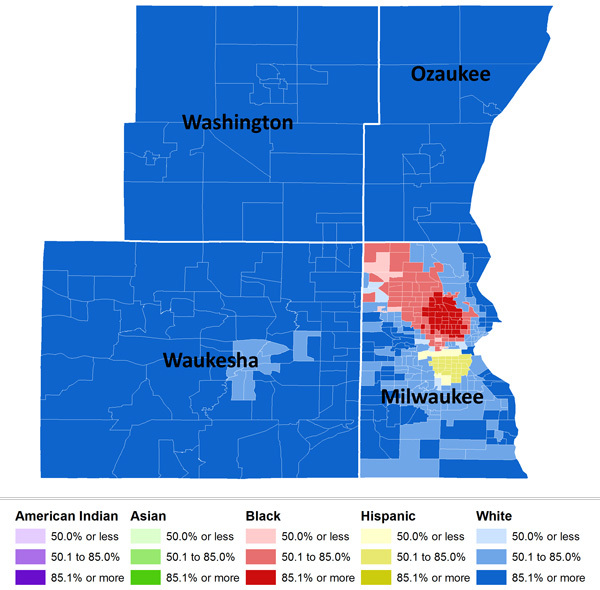 Between 1950 and 1990 there was a "white flight" from Milwaukee County into Waukesha County and suburbs of Milwaukee. Smith's call for rioters to stop burning down their own communities is being reported by the media as a rebuke to those behind the violence. However, in reality she is really just calling for the mayhem to be inflicted on the suburbs, or in other words � where all the white people live. "Take note of the fraud CNN headline. Ms Smith did not condemn violence, she merely wanted it moved to the suburbs," Rob Ervin ‏notes on Twitter. I guess in CNN's world a call for killing white people is a call for peace.